The PG50PS delivers an ultra high (8,000V/uS) slew rate with a phenomenal 50ps rise time. It gives you millimeter TDR accuracy at a price point that is thousands below what had been previously available. 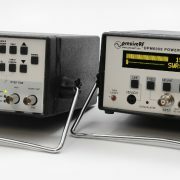 The PG50PS primary applications are characterizing high speed circuits and networks, and locating or measuring transmission line faults using time domain reflectometry (TDR). For example, to verify an oscilloscope frequency response, a fast step is applied to the scope’s input and the displayed rise-time is measured using the formula BW=.35/rise-time. This formula is printed right on the case. The faster the rise-time from the pulse generator, the more accurate the measurement. In the case of the PG50PS, bandwidth measurements can be made reliably to 6GHz. In the same manner, an amplifier or attenuator can be characterized. By observing the resultant rise-time and induced aberrations, incremental adjustment can be made during the design phase of a UHF device, thus saving you time and increasing your confidence in your design. Tektronix TDS820 6GHz scope. Note the clean 56ps step and very little pre-shoot and ringing. Ask any pro, TDR is the way to go. Analyze all your transmission lines, connectors and even PCBs. If you are home brewing, the PG50PS is a great tool. Ensure your cables are up to the job. Locate faults fast, check losses and analyze line Z. 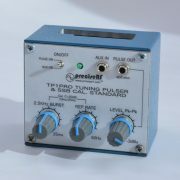 When using the PG50PS for TDR measurements, a pulse is sent down the DUT (such as a cable/transmission line) and the reflections are measured with an oscilloscope. The faster the rise-time from the pulse generator, the better the resolution. In the case of the PG50PS, the resolution is better than a millimeter. 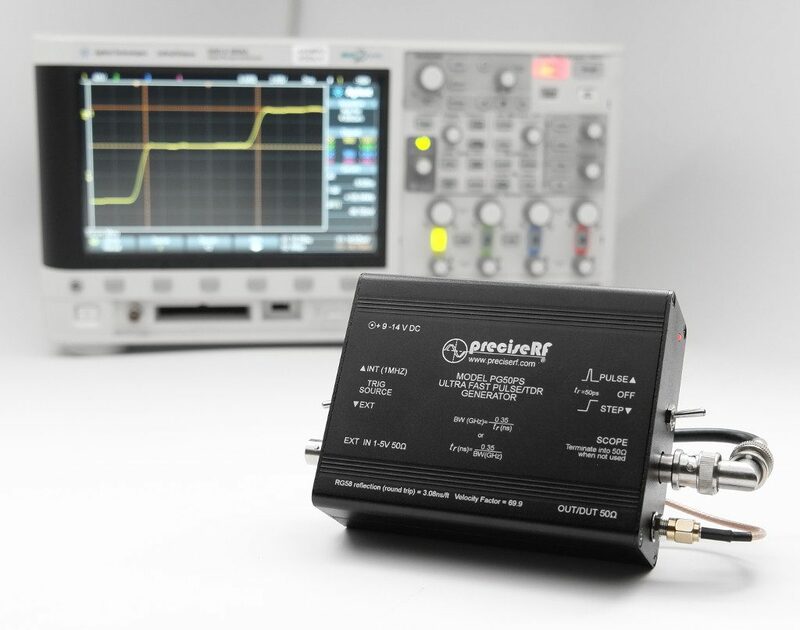 This excellent resolution allows TDR measurements of PCB traces and accurate characterization of the trace impedance. Typical TDR Measurement – scope not included. For best measurement results, the stimulating pulse needs to be very quick and very clean. The ideal pulse and step has a Gaussian response. The PG50PS was designed to provide such a pulse. Overshoot and aberrations are kept at a bare minimum. The PG50PD features precision microwave design and construction. The case is anodized aluminum construction for excellent RF shielding and superior durability. 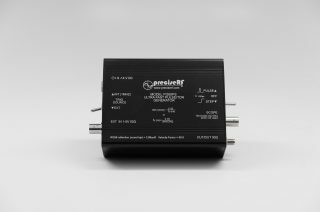 The input and outputs feature high quality UHF BNC and gold plated SMA connectors, ensuring low reflections and a clean 50 ohm environment. 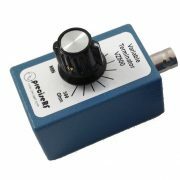 Unlike low cost TDR units that use a low cost BNC “T” splitter, the PG50PS features isolated sampling. 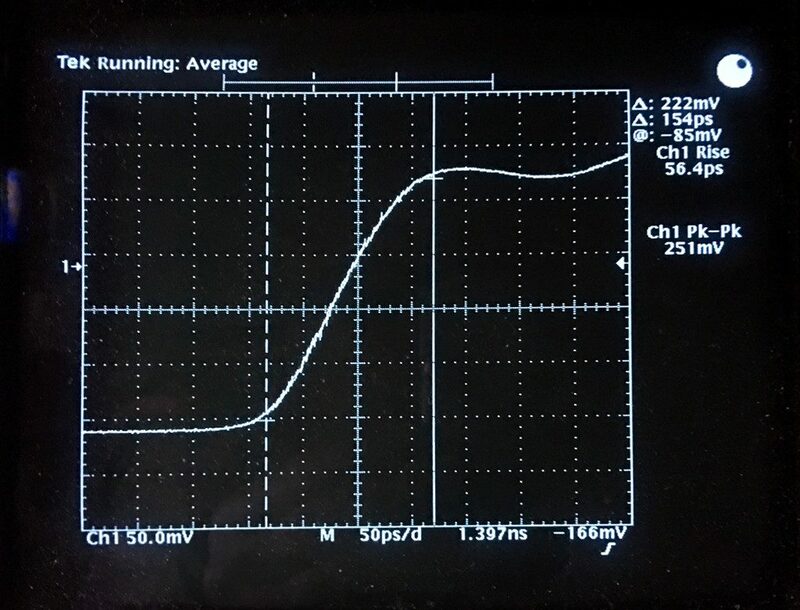 The devise under test (DUT) is isolated from the scope sampling output via a precision 6dB 50 ohm isolation network. This technique insures that the scope’s input impedance will not compromise the DUT measurement. The PG50PS is the ideal companion to our popular Cable Radar(R) TDR pulse generator. The 50ps rise-time provides the added resolution to pin-point reflections and defects with millimeter resolution. No manual calculations are required. 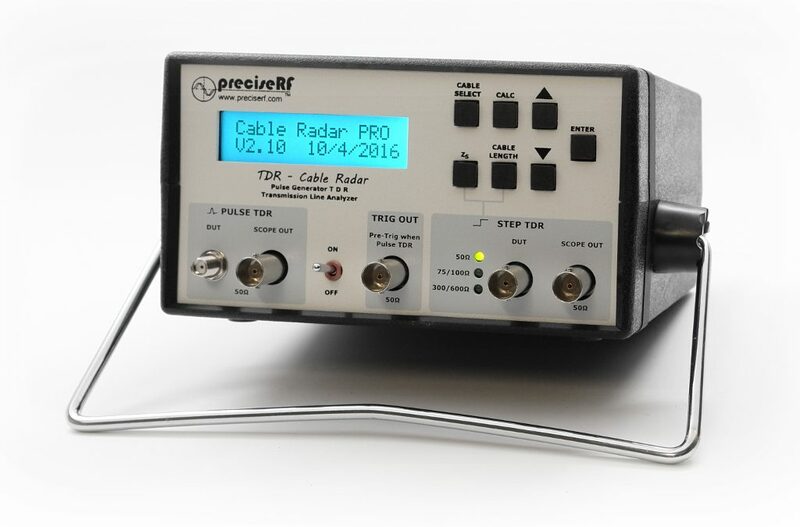 The Cable Radar (R) microprocessor displays all measurement results at a touch of the button. 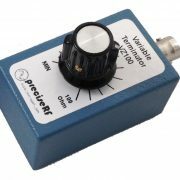 The PG50PS makes an excellent companion to our popular CABLE RADAR TDR. Its microprocessor provides the computations at a touch of the button. Ultra fast open collector 50 ohms tr 35ps, 0 to -400mv. OUTPUTS: DUT SMA 50 ohms 300 mV, tr 50ps, SCOPE BNC 50 ohms isolated 6dB. STEP: Ground referenced -300mV, PULSE: Ground referenced -300mV positive 1 ns. INT TRIG: 1MHz, EXT TRIG 1.5-5V 50 ohms. Compatible with Cable Radar. PWR: Ext 9-14VDC, 9V Battery.